2010: Mohamed Bouazizi’s self-immolation and the beginning of the Arab Spring. 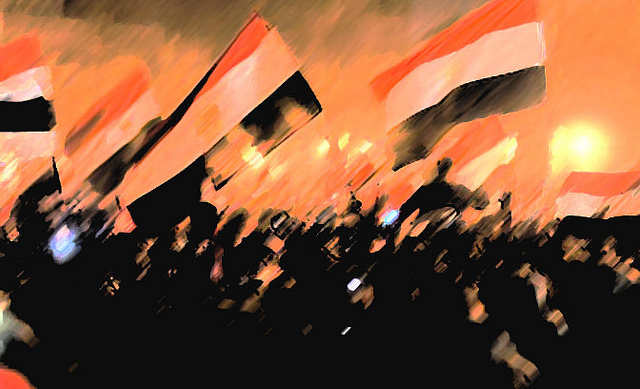 Arab Spring – a blooming of revolutionary demonstrations rejecting totalitarian, authoritarian rule. First in Tunisia, then came the flourishing of demonstrations in Libya, Egypt, Yemen, Syria and Iraq. Smaller street demonstration sprung up in Morocco, Bahrain, Algeria, Iran, Lebanon, Jordan, Kuwait, Oman and Sudan. 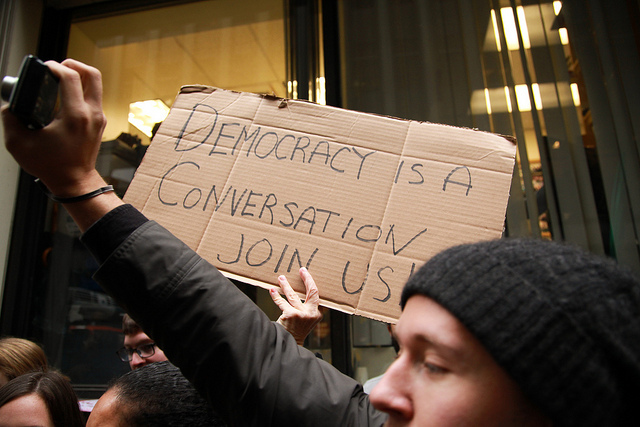 The slogan of the protests. I believe I am not alone in saying that I was inspired and usurped in watching the Arabic Spring – the blossoming of anti-authoritarian rule, young people speaking up for their rights, trying to steer their futures in a different direction and free their country from years of oppression. Arab Winter – What followed was the withering away of hope. Demonstrations violently repressed, peaceful protests by well-intentioned people taken over and appropriated by violent sections. Syrian Civil War, Iraqi insurgency and consequent civil war, Egyptian coup, Libyan crisis and Yemen war. Movements violently eradicated, and more bloodshed than could have possibly been imagined. The beautiful bloom of peaceful revolution – trampled on, silenced and crushed. As a young teen I was left particularly inspired by the courageous movements of the Arabic Spring. It was in fact these very uprisings that lead me to study the Middle East and Arabic language in my undergraduate degree. Among the European youth, political apathy was the status quo – as we are (were, for some) privileged to not be suffering under authoritarian regimes, therefore reluctant to look beyond. It was during these uprisings and tragic consequences that I realised how important it is to get involved and fight for your rights, and to use your platform to help and join other fights. It was this moment that I realised that as young European we have the duty to burst through the bubble of Fortress Europe and look at the utter chaos that our ancestors spread throughout the world in the colonial era. For me, to bloom was to be exposed to these movements and come to the realisation that to be politically active in whatever shape or form is more a responsibility than a choice. But to bloom is a constant process. To constantly be looking back on your mistakes and seeing where we can improve. I am often insecure and feel helpless. With a crumbling world order, and the rise of hateful movements, what can I do to stop this? Am I being ethical in all my choices, or are my actions too depriving others of rights? 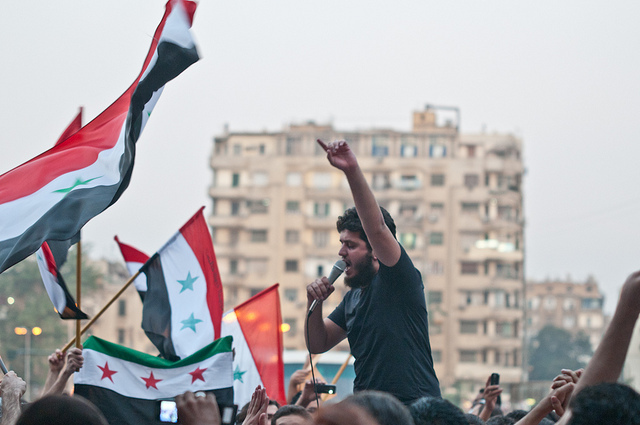 The Arab Spring, planted the seed for grassroots movements and political activism and despite its violent repression it must remain as a constant reminder of the importance of speaking up, and be self-aware of making ethical choices. With growing xenophobic, populist and extremist movements coming to the surface, the initially peaceful messages of the Arab spring and their violent repression must remind us that this is a fight worth fighting for. After all, after every winter, the spring must come- but this time it won’t come on its own – only through a collective political involvement where different movements fighting for the same principles stand by each other helping each other flourish. Ahmed Hassan, Egyptian revolutionary from documentary The Square, stated: “If you ask me “What is the revolution’s biggest victory?” It’s that the kids today play a game called ‘Protest’”.